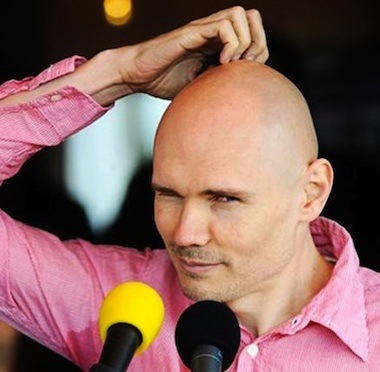 Last standing Smashing Pumpkin Billy Corgan journeyed deep into the land of pretentious toolbags when he said that he’d rather listen to Bach than modern music, but he does have a point. The former “friend” of Courtney Love and Jessica Simpson says he purposefully keeps himself out of the music loop due to it all sounding like the same heartless, whistling pile of steamy cow poo. That last part is my favorite. And so true, Bono’s offspring – Mumford & Sons, Kings of Leon, Imagine Dragons, fun., and The Lumineers – are wo wo wooing inside a dumpster that the heroin-addicted singers of the ’90s wouldn’t rummage through in their darkest, most strung-out moments.